Image Comics and Top Cow Productions are pleased to announce ECLIPSE #1 by Zack Kaplan and Giovanni Timpano is being fast-tracked for a second printing in order to keep up with customer demand. This sizzling new series asks the question: what if sunlight burned you alive? In the near future, a mysterious solar event has transformed the sun’s light into deadly immolating rays. The world’s few survivors now live in nocturnal cities. But a killer emerges who uses sunlight to burn his victims, and when he targets the daughter of a solar power mogul, it falls to a disillusioned solar engineer to protect her. ECLIPSE #1 remains available for purchase across all digital platforms, including the Image Comics website (imagecomics.com), the official Image Comics iOS app, Comixology’s website (comixology.com), iOS, Android, and Google Play. 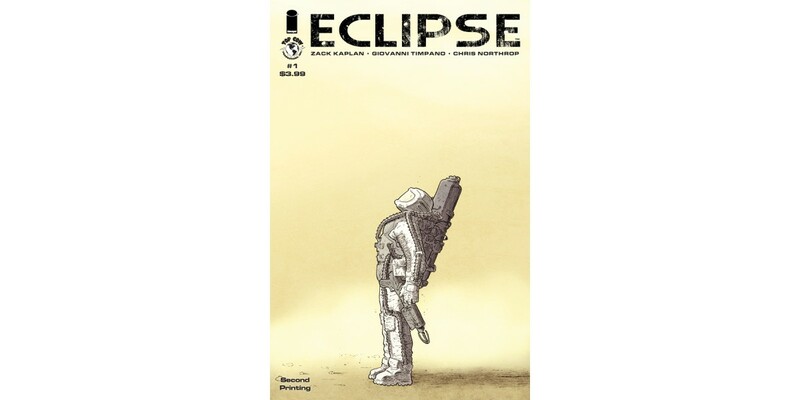 ECLIPSE #1, 2nd printing (Diamond code: AUG168286) will be available on Wednesday, October 12th. The final order cutoff deadline for retailers is Monday, September 19th. ECLIPSE #2 (Diamond code: AUG160623) will hit comic book stores on Wednesday, October 5th.